Found this today in an antique shop. It’s a pinback. The diameter is 1.5″ or 3.8cm. I see several of these around on the internet, all noted as being “vintage”. 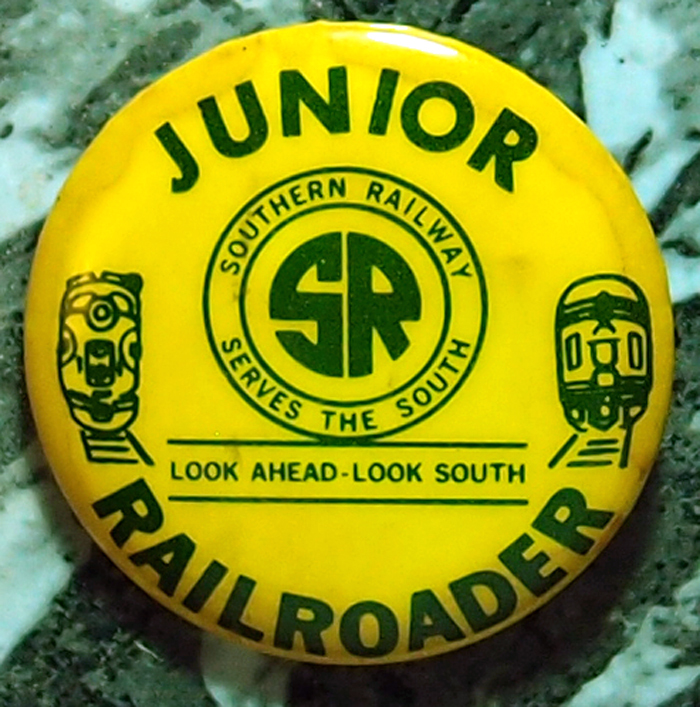 Southern went under the control of Norfolk-Western in 1982 and then was merged officially into the Norfolk Southern Railroad in 1990. I could go out on a limb and say that this may date to before the railroads gave the old heave-ho to passenger service in this area, but I won’t. That’s definitely a diesel engine on the left, though. The caboose on the right fits the streamlined period, but that may just be to fit the design on this pin. Basically, I just don’t know when these were handed out. This one is in fair shape. Water damage, apparently, around the rim. 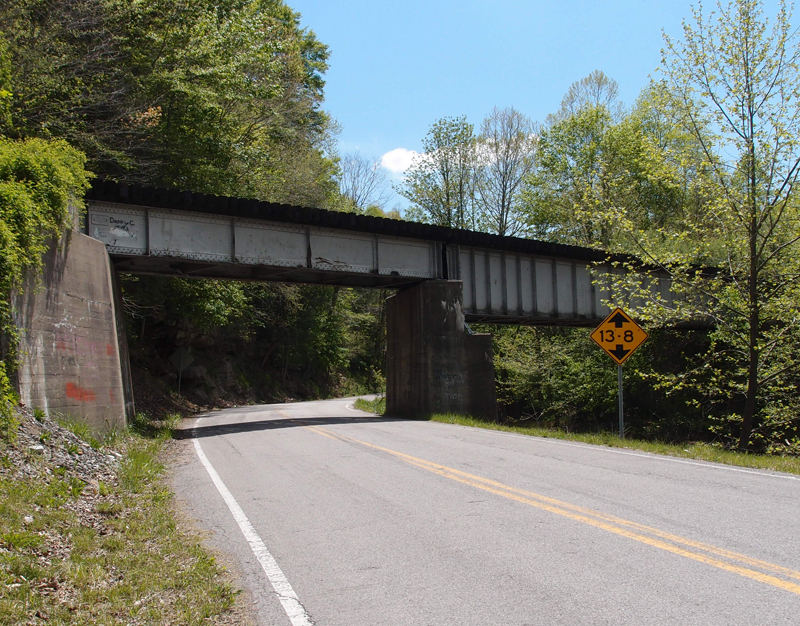 This sturdy standard-gauge trestle runs over Laurel Creek in Damascus VA. It’s located at the end of Trestle Street, naturally. 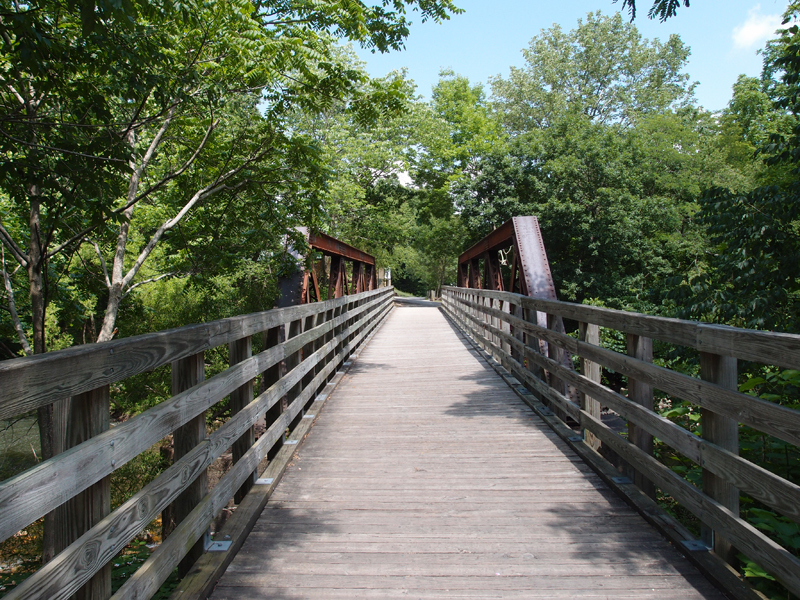 Now part of the Creeper Trail, it was originally on the Virginia-Carolina Railroad that ran from Abingdon to Todd NC. Details are here. I’ve biked the Creeper up from Abingdon to Damascus a couple of times and I’ve taken the shuttle from Damascus up to Whitetop and biked back down a couple of times. 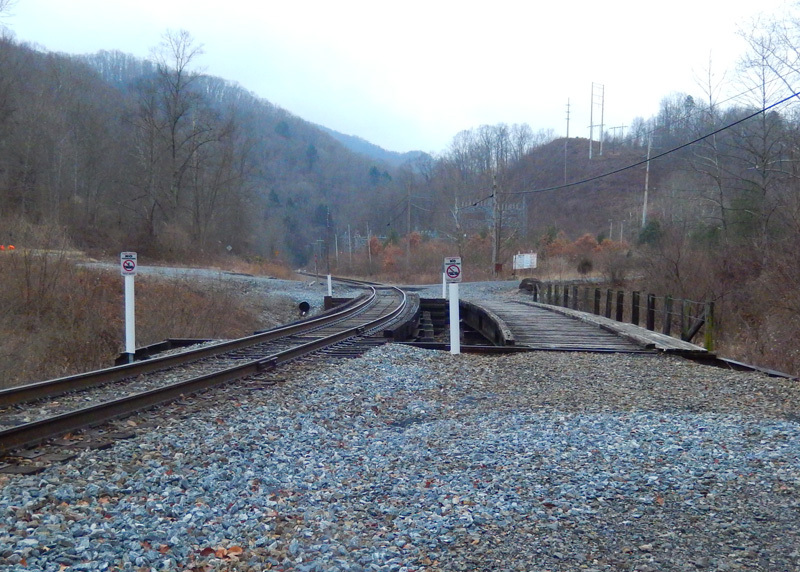 This is one of three double trestles we saw in the area of Imboden. The line on the left is active, but the one which was on the right is long gone. It’s a vehicle bridge now, reinforced with steel, but with sorry-looking ties. Looking at this from above in Google Earth, I think I can tell that the line on the right probably went up to a loader in the valley. There are several coal mines in that area, mostly stripped out now. Imboden was possibly named after Gen. John Imboden, the man who had a vision of making Damascus VA into a major iron smelting town. I don’t know. Heck, I’ve never figured out why Osaka is named that. Or Sun. My main book on Virginia place names ignores some of these.